Venice was a last minute addition to our Italian itinerary. Everyone I asked said not to bother, it's too crowded, too expensive, too smelly. I guess it can be those things if you visit in the middle of the high season but our trip took place in late March. It was a little cold, a little rain one day but it was not crowded, and it did not smell! Of all of the amazing places, we saw in our three weeks in Italy Venice is the one that captured my heart and that I have returned to three times. Below are the ten things we enjoyed most in our short time in Venice. We would love to hear if you have any suggestions for our next trip. 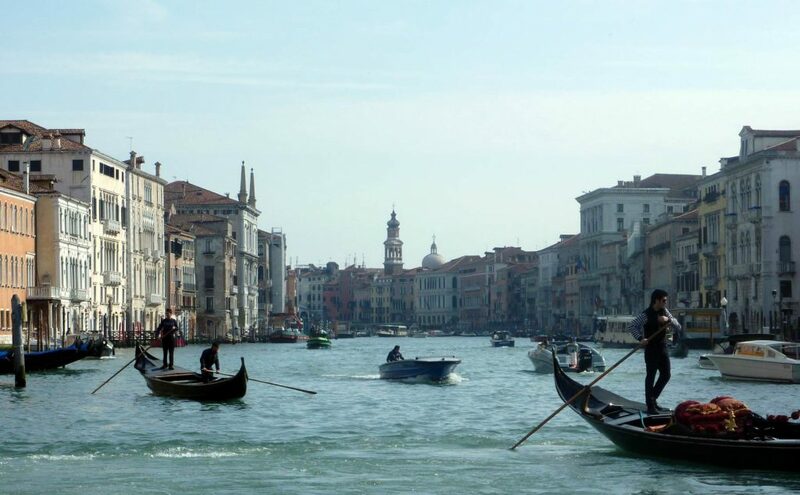 The feeling of being on the Grand Canal changes as the day progresses. We had four full days in Venice, so we purchased a 3-day Vaporetto pass on our arrival at the train station. It was worthwhile for us as our hotel was just a few minutes from a stop on the Grand Canal and we planned to explore as many of the routes as possible. Start with the #1 slow Vaporetto (water bus) that travels along the Grand Canal. If you have a pass get off anywhere that takes your fancy. Try to ride this route in the very early morning when the sun is still rising, it's fascinating to watch the city get ready for the day. Ride again dark for some fascinating people watching, you can see inside the brightly lit windows of the grand homes at night. 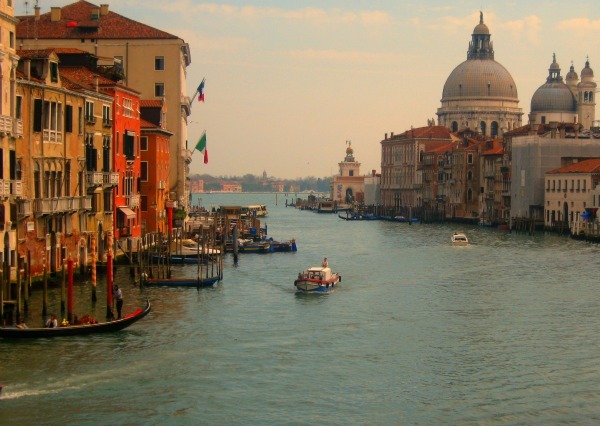 These passes are expensive, so if you are travelling on a budget, then you could get a one day pass, take a morning ride in the Grand Canal and then head out to the islands. After dinner take a nighttime ride before your ticket expires. Gondola - I decided this was too $$$ and too much like Disneyland for me. Tip: If you are travelling on a tight budget take a Traghetto for just a euro or two and leave the Gondola for your next visit". We got up early the second morning of our visit to head to the Rialto Market. This was one time I wish I had rented an apartment; there was so much fantastic food that I wanted to take home and try to cook. After an hour or so exploring here, we bought some takeaway lunch and sat on the wharf in the sun relaxing and looking out over the water and watching life on the canal. It was one of my favourite mornings. When: The markets are closed on Sunday and Monday. 7am-1pm. Tip: Get there early - the action is just about over by noon. 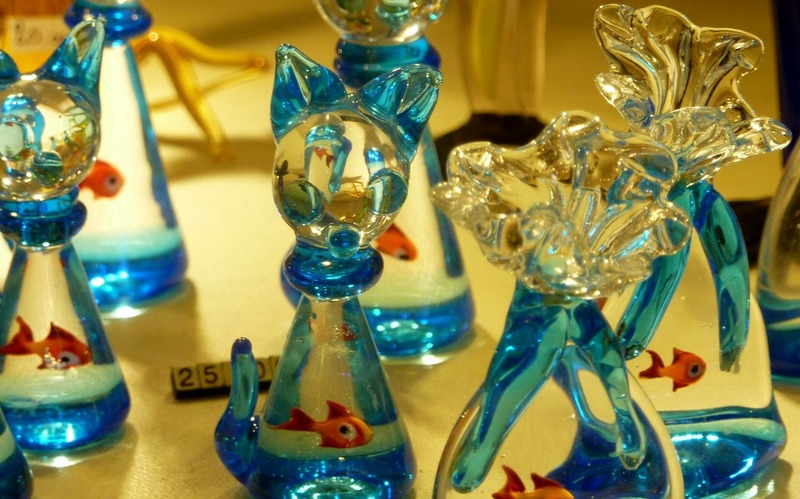 See the glass shops on Murano and the pretty coloured houses in the fishing village of Burano. Our visit to these lovely islands coincided with our first cold and foggy day in Italy. Riding across the water to the islands through the fog was quite extraordinary, almost eerie, particularly when we passed the cemetery island and other small deserted islands along the way, it felt like we were travelling back in time. Our first stop Murano felt a little bit like visiting a large glassware shopping centre. We did not go to the museum so I can't comment on that but we did tour one large shop with attached workroom. We were travelling around for a few months so buying glass souvenirs was not on our agenda but there was so really gorgeous stuff here. We managed to stick to just a handful of small glass cute cats for our daughters. 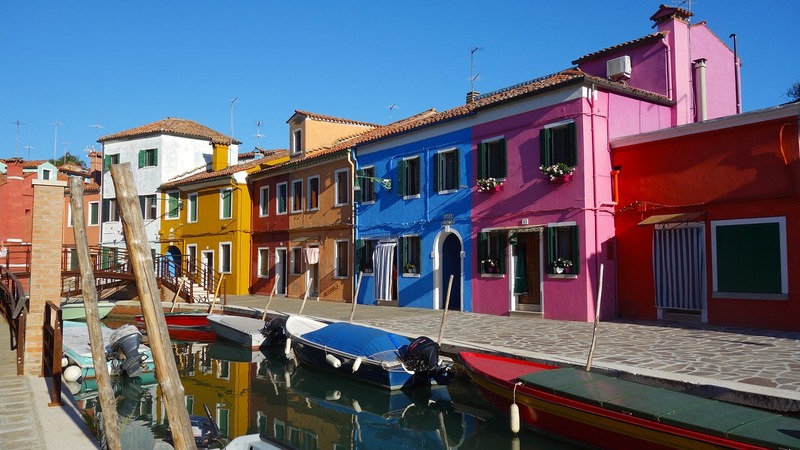 Burano's colourful houses are cute but where are all the people? Arriving in Burano to all the lolly-coloured houses after such a dark journey was a delight. We strolled around for a while, had lunch at a typical tourist restaurant just to escape the cold and headed back to the main island. Tip: Make Burano your first stop and you will likely find it less crowded as most visitors stop at Murano first. How: The No 12 Vaporetto from Fondamente Nova is the fastest direct route to both island. You can also take the No 3 from the train station to Murano. The best place to do this is far, far from St Marks Square - we found some great places in the outer edges of Cannaregio. Most locals only seem to buy one or two pieces at a time - us not so much! 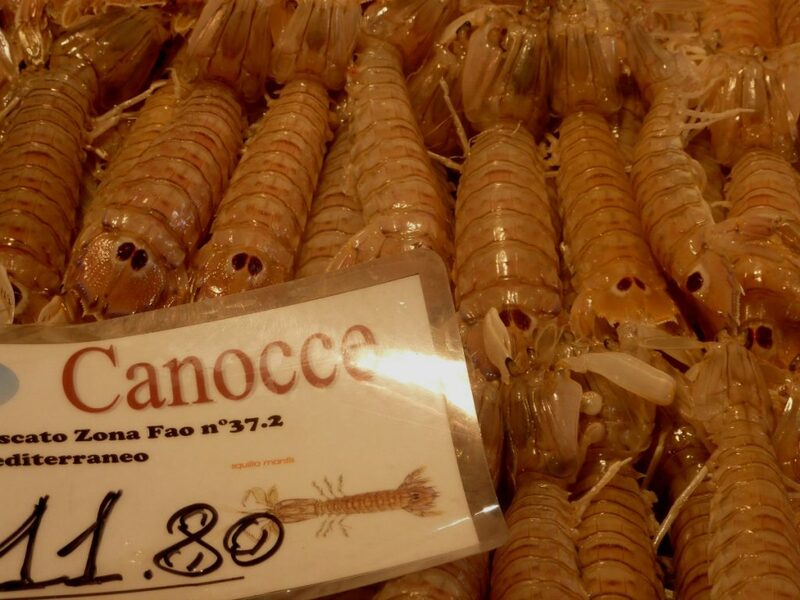 I loved the Cicchetti (chi-keh-tee) in Venice. So many little interesting morsels to try and wine by the glass. For this reason, alone I would like to move to Venice permanently! Look out for small"osteria" or "trattoria rather than restaurants for affordable, authentic meals." Afternoon drinks became a daily ritual - thank god we had 5 days! 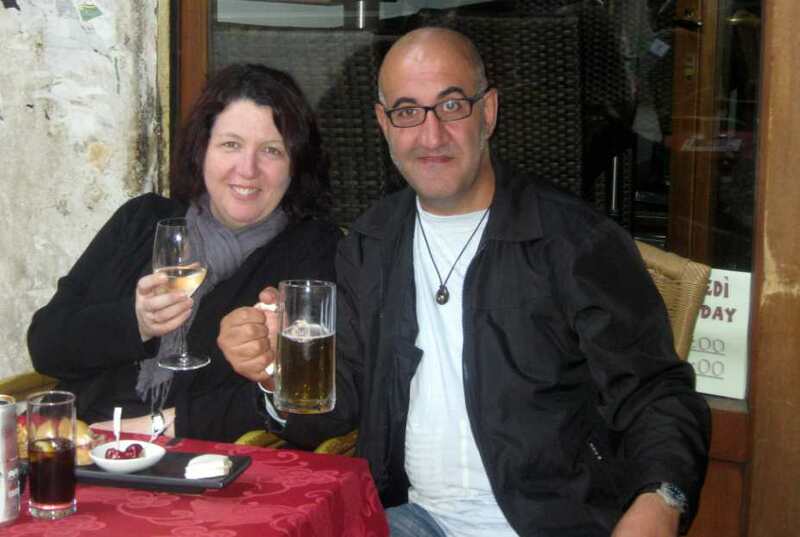 Each day on our walks we could keep our eyes peeled for interesting looking bars and cafes to head back to at night. I had taken a list of recommended places, but I think this is probably a better way, discovering your own amazing place is so satisfying and finding a recommended one that has changed hands or upped prices and dropped standards since hitting the guidebooks is very disappointing. I was determined to eat Squid ink pasta in Venice after reading it was a local specialty. It is my favourite dish at our local Italian restaurant in Sydney, so I wanted to see how the real thing compared. We walked from our hotel in the opposite direction to the crowds and discovered Trattoria dai Peochi after about 10 minutes. It was crowded with couples speaking Italian which I thought was a good sign and it turned out to be right. 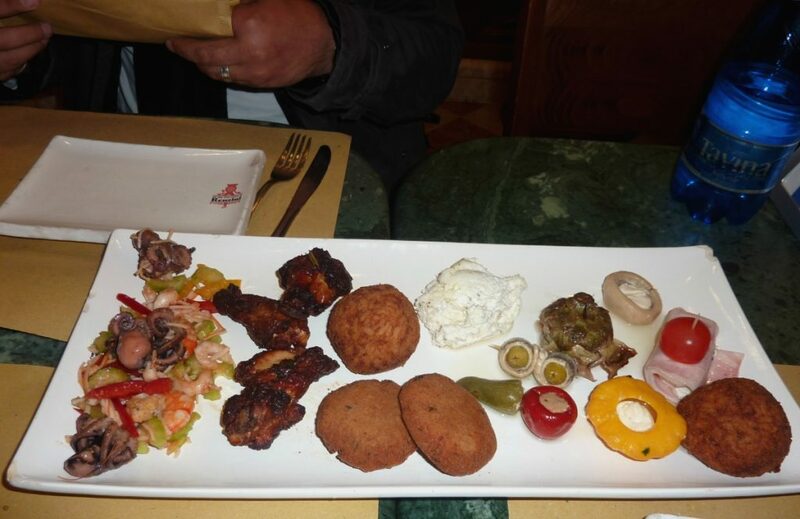 The meal was quite nice and not expensive - about 50 Euro for two courses, a glass of wine and a child's meal. The staff were friendly, and I would be happy to eat there again. I will spare you the photo of my mouth covered in black ink. Take my word and try it. Take a walk along Fondamenta della Misericordia, and you are bound to find something good. Santa Maria della Salute was as beautiful inside as out. 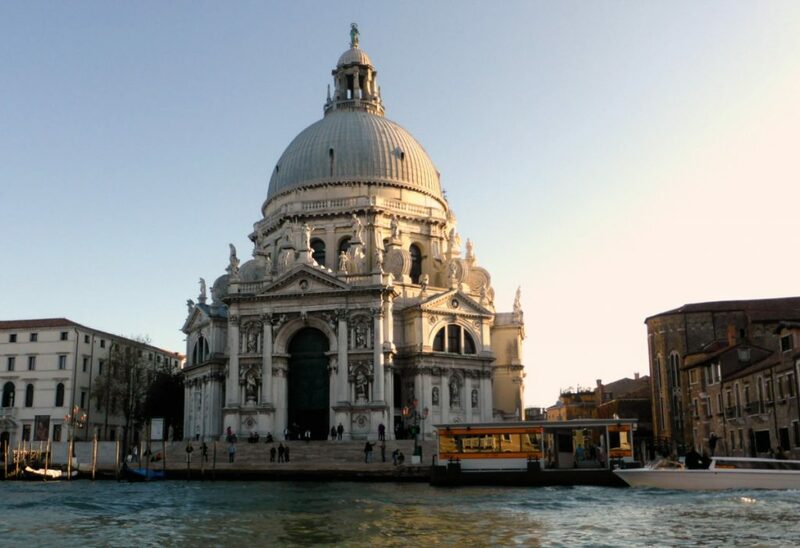 Santa Maria della Salute is the beautiful Baroque church on the junction of the Grand Canal and the one that features prominently in many photos of Venice. Known locally as "the wedding cake"It was built to thank God for ending the terrible plague of the 1600s. Translated into English its name is St Mary of Health. The church has a great collection of masterpieces including a Turner, several Titans and one of my favourite is free to enter. It is a great spot to view St Marks from afar and also a good place to begin your walk exploring the Dorsoduro sestieri. 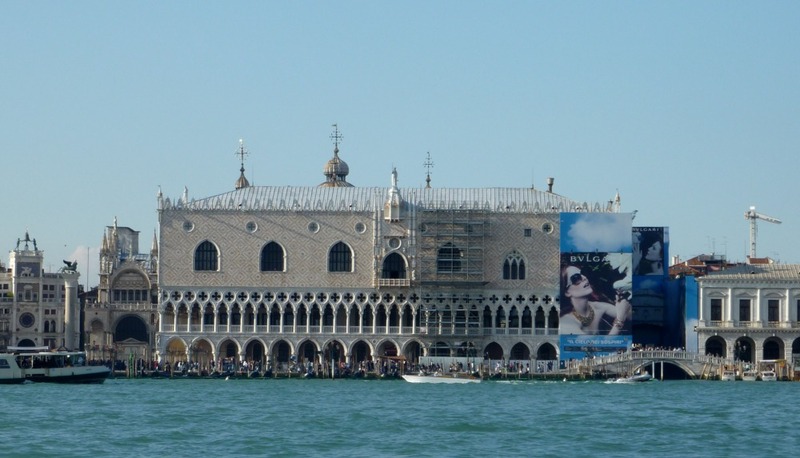 We did not have an itinerary for our visit to Venice, and despite every guide book I had seen saying the Doges Palace was a must see I had not intended to visit. None of us was particularly interested in Venetian art and we were trying to keep costs down, but after two days walking past this amazing building every day I was captivated by the facade and felt I needed to go inside. We visited in the late afternoon and purchased the English audio tour. My 12 yr old daughter and I loved it, and I was glad we went. The ticket included free entry into another museum opposite, but we did not have time to visit that. By the last day in the city, we had walked all the main spots listed in the travel guides and taken many Vaporetti rides. Our pass had expired, so we decided to stay in our sestieri (area) and walk to all the corners of it. Tucked away in the far corner near the train station is the Jewish Ghetto area. This place is where the word Ghetto originated. In the 16th Century, the leaders of Venice decided that rather than expelling all Jews from the city they would allow them to remain but confine them to one small area. 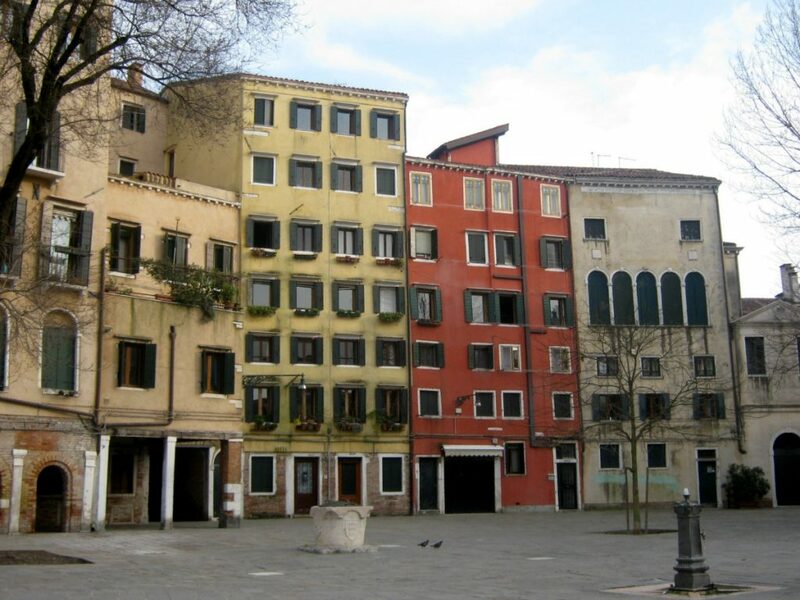 As a result, the houses here are much taller and narrower than other parts of Venice. The residents had no option but to build up, and as they had limited finances, many of the structures were made or wood. We happily strolled around by ourselves, but there are several walking tours that available if you want to learn more about Jewish history in Venice. 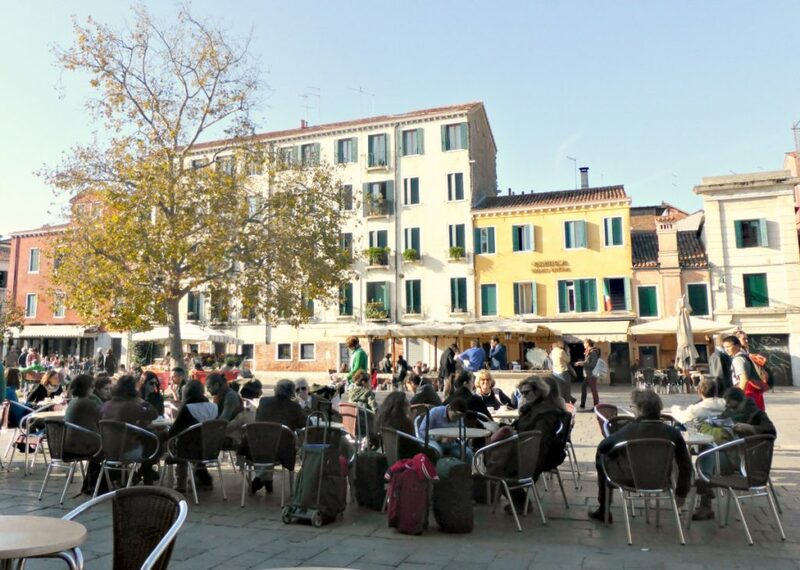 ​While it is nowhere near as attractive as St Marks Square Campo Santa Margherita was one of my favourite places to eat gelato and watch the world go by. It is less Disneyland and more real life Venice with washing hanging from windows, old ladies gossiping in trios and kids running around having fun. Another square we enjoyed was Campo Santa Maria Nova, not far from the beautiful Santa Maria dei Miracoli church and home of a cute second-hand market. You never know what you might find when you just walk the back streets. 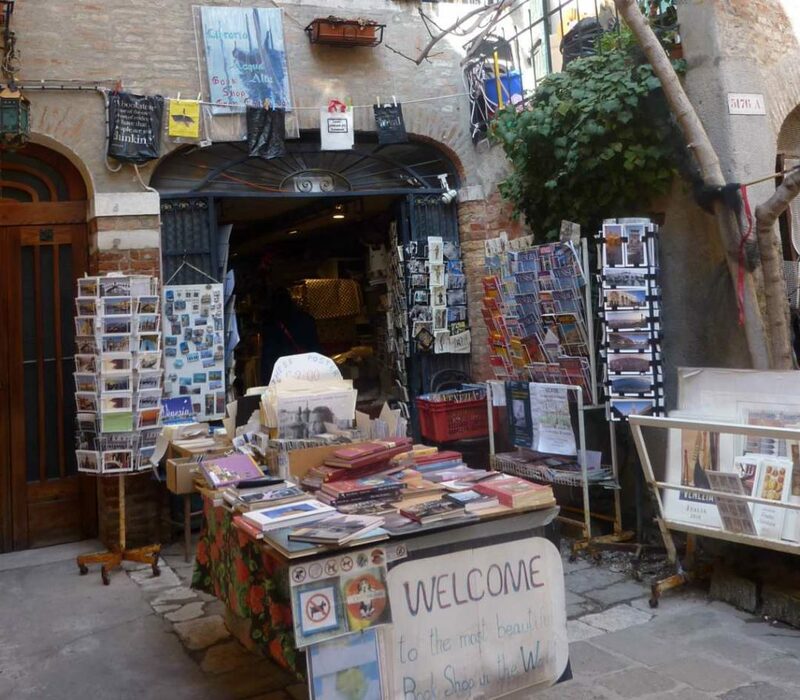 We found the bookshop above in the Castello sestieri. Inside the books are arranged inside old gondola and there is plenty of humour in the design of the place. It's pretty messy and causes slight anxiety in this ex-librarian, but I think it is worth a visit if you are walking in the area. It is called Libreria "Acqua Alta", and I have since discovered it has its own Facebook page. We enjoyed exploring this area behind St Marks Square immensely. 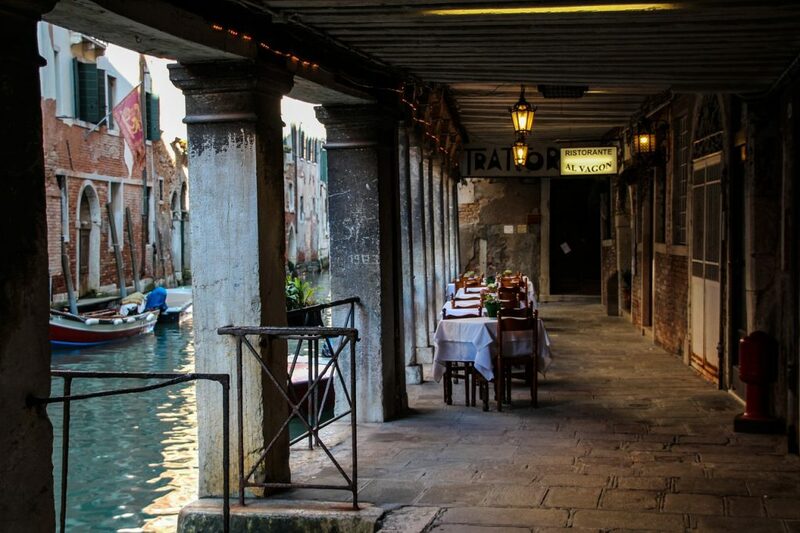 Addresses in Venice are almost meaningless to visitors. Ask for a landmark for your hotel or you may never find it! This website lists all the concerts and musical performances in Venice. All price ranges are catered to so take a look and see what is on while you are in town. Understanding the neighbourhoods. This article from Slow Travel Italy likens Venice to a fish and explains the characteristics of the various areas. If you want to discuss where to go and what to eat in Italy this Italy forum at Chow hounds will fit the bill. We loved the location of Palazzo Rosa; in fact everything about it was great. I would prefer to stay in an apartment for my next visit but this hotel had great rooms, super friendly service and a perfect location. Another gem by Slow Travel Italy - This article lists 200 things to do arranged by sestieri (area). Have you been to Venice? Are you hooked on her magic like I am?